An adventure to Washington Square Park today. 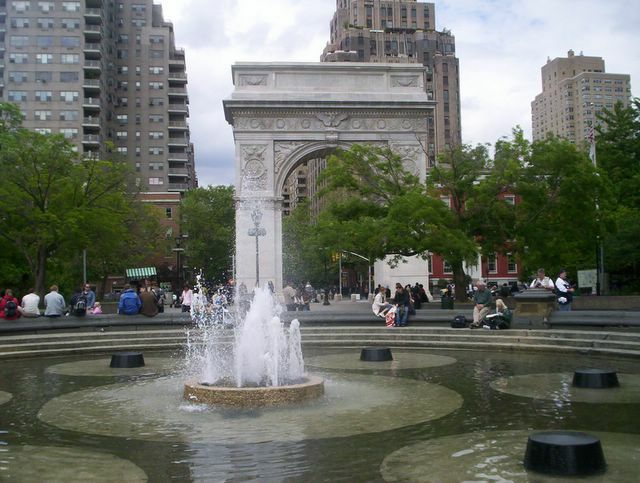 Why Washington Square Park? Because I read in the newspaper it was due for renovations. When anything is due for renovation in New York City, you might as well go and see whatever it is before renovations because you never know when the renovations may be complete. 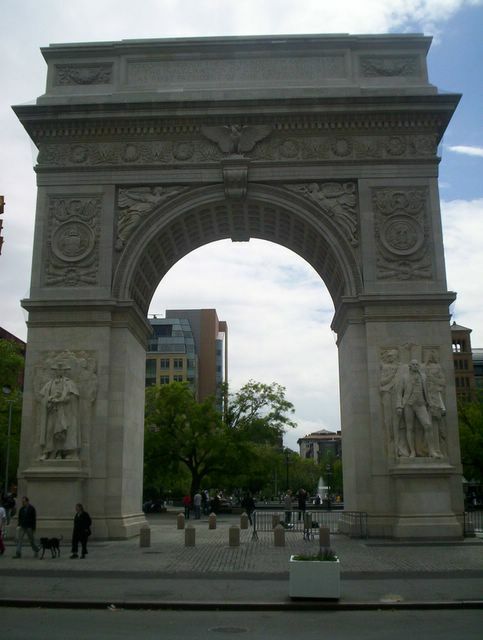 The Washington Arch, in commemoration of the presidency of George Washington, from the foot of 5th Avenue. Washington Arch from the back. Washington Arch overlooking the fountain. Overall the park is a little different. There are quite a few of artists in the neighbourhood. This is evident with art abounding around one end of the park as well as the many musicians that call the park home. There was even some dancers near the fountain dancing to a drummer making use of empty white plastic pails. 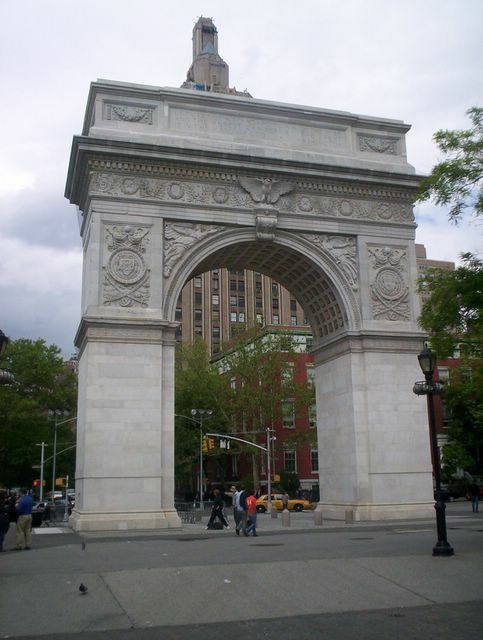 As I said before, this park is due for renovation according to New York City Parks Department. The fountain is to be moved into a visually central location for the arch and some paths are going to be redone. Perhaps the biggest renovation will be the flattening of the ashphalt mounds. The mounds look like small mountains coated in ashphalt. Some of the locals want to keep these "mounds". I ask why bother considering they are more of a legal lawsuit waiting to happen against the city in terms of some kid killing himself by racing over these mounds on foot or on skateboard. Thank goodness these mounds are currently fenced off.